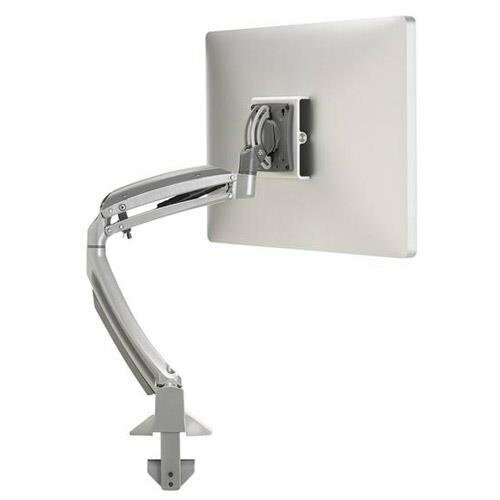 Enhanced patented Centris Extreme Tilt provides Plus 75 degree, Minus 10 degree of effortless tilt, for optimal viewing comfort whether sitting or standing. Easily clamps to edge of desk or through standard grommet hole, or through bolt hole with included Kit. Tool-free cable management covers for a clean, professional look. Orientation: Landscape, Portrait. Color: Silver. Weight Capacity: 5 - 25 lbs. (2.3 - 11.3 kg) per monitor.